High Efficiency Natural Gas Pool Heater. Your Choice of Free LED Light, solar cover and winter cover or FREE salt system. Call now and get a Free grill when you select the Premium Plus Package. The premium package is just $44,073 or $357 per month. All normal electric is included and installed by a registered, licensed and insured electrician. Sample Photo * Pay NO interest for 1 year on the first $15,000, on approved credit. 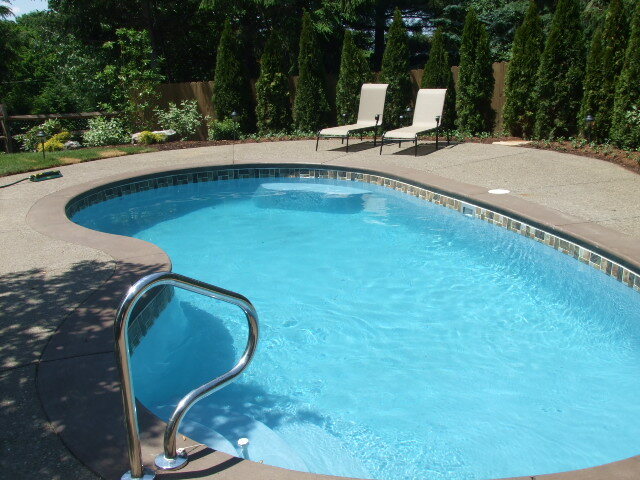 This is just sample photo to show a pool. Hurry, this offer may end soon.